A golden spire crowning a conical wooded hill, Swayambhunath Stupa is the most ancient and enigmatic of all the holy shrines in Kathmandu valley. Its lofty white dome and glittering golden spire are visible from all sides of the valley. 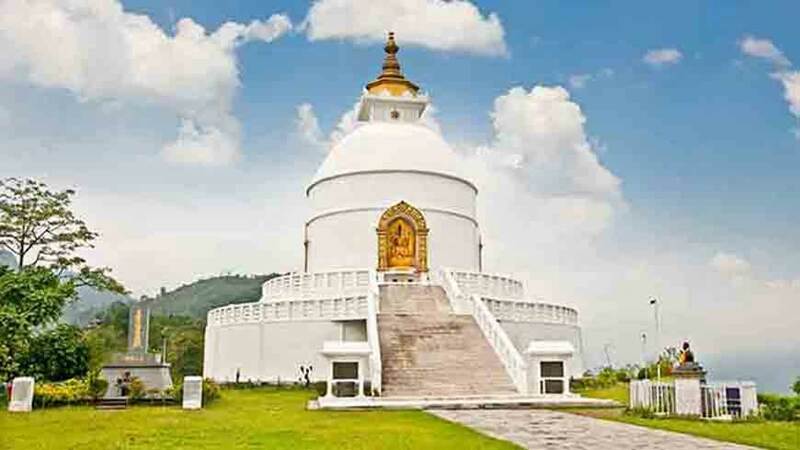 Historical records found on a stone inscription give evidence that the stupa was already an important Buddhist pilgrimage destination by the 5th century AD. Its origins however dates to a much earlier time, long before the arrival of Buddhism into the valley. A collection of legends about the site, the 15th century Swayambhu Patan mentions of a miraculous lotus, planted by a past Buddha, which blossomed from the lake that once covered Katmandu valley. 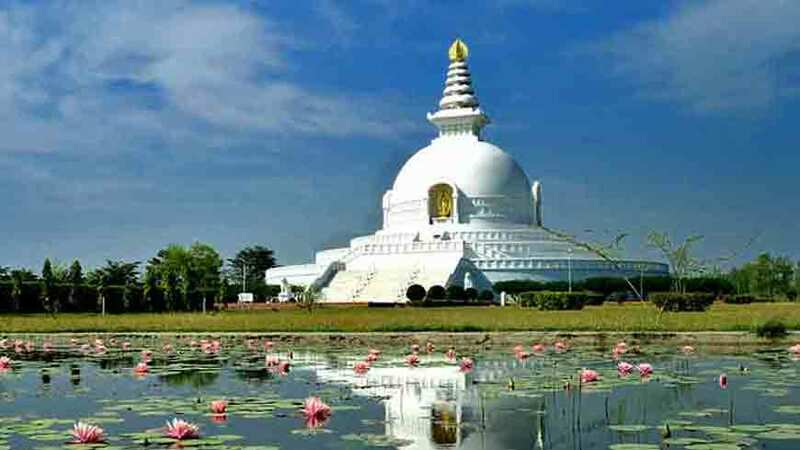 The lotus mysteriously radiated a brilliant light and the name of the place came to be Swayambhuu, meaning "Self-Create or Self-Existent" Saints, sages and divinities traveled to the lake to idolize this miraculous light for its power in granting enlightenment. During the time, Bodhisatva Manjushri was meditating at the sacred mountain of Wu Tail Shan and had a vision of the dazzing Swayambhu light. Manjushree flew across the mountains of China and Tibet on his blue lion to worship the lotus. Deeply impressed by the power of the radiant light, Manjushree felt, if the water were drained out of the lake Swayambhu would become more easily accessible to human pilgrims. The with a great swaod Manjushree cut a gorge in a place called Chovar forming a lake Madara. The water, draining awy for four days nd fournights, left the valley of present day Kathmandu. The lotous was then transformed into a hill and the light becam eth Swayambhunath Stupa. Swayambhunath's worshippers include Hindus, Vajrayana Buddhists of northern Nepal and Tibet, and the Newari buddhists of central nd southern Nepal. Each morning before dawn, hundreds of pilgrims ascend the 365 steps that lead up the hill, heading past the gilded Vajra and two lions guarding the entrance, and begin a series of clockwise circumambulations of the stupa. The area surrounding the stupa is filled with chaityas, temples, painted images of deities and numerous other religios objects. There are many small shrines with statues of Tantric and shamanistic deities, prayer wheels for the Tibetan Buddhists, Shiva lingams and popular Hindu temple dedicated to Harati, the Goddess various epedeics. The presence of the Harati Devi temple signifies the intermingling of the pantheons of Hinduism and Buddhism in the development of the religious trends of Nepal. As Buddhists had no deity in their own panthelon to protect against the dreaded smallpox, they adopted the Hindu deity for assistance. Atop Swayambhunath hill is another fascinating, thoughsmaller and less visited temple.This is Shantipur, the "Place of Peace" where in a secret, always locked and an undrground chamber lives the 8th century Tantrick master Shantikar Acharya. Practising meditation techiniques which have preserved his life for uncounted centureis. he is a great esoteric magician who has cmplete power over th weather. When the valley of Kathmandu is threatened by drought, underground chamber should be entered to get a secret mandala from shantikar. Soon after the mandala is brought outside and shown to the sky, rin begins to fall. Frescoes painted on the temple inner walls depict when last this occurred in 1658. The small temple has a poweful atmosphere, it is mysterious, stern and slightly ominous. Swayambhuanth stupa is also called the "Monkey Temple" because of the hundread of monkeys scamperring around the temple at night after the pilgrims and priests have departed. 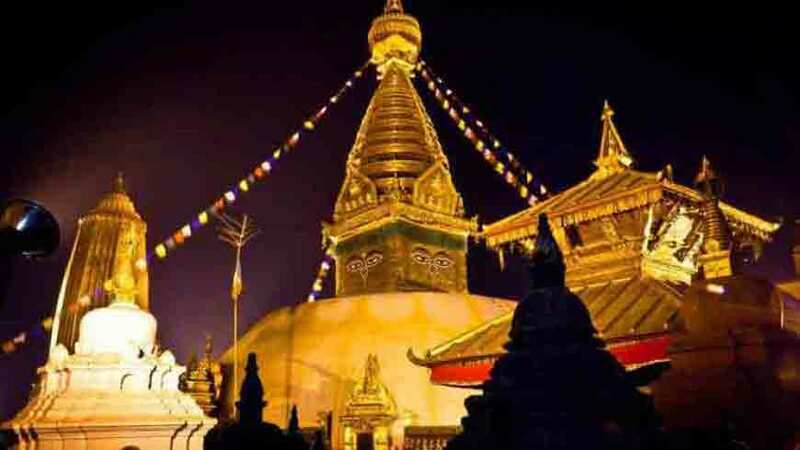 Nearby the Swayambhunath hill are other important temples such as the Shiva Jyotir Linga temple of Pashupatinath, Boudhanth stupa, Changu Narayan, Dakshinkali and Budhanilkantha. 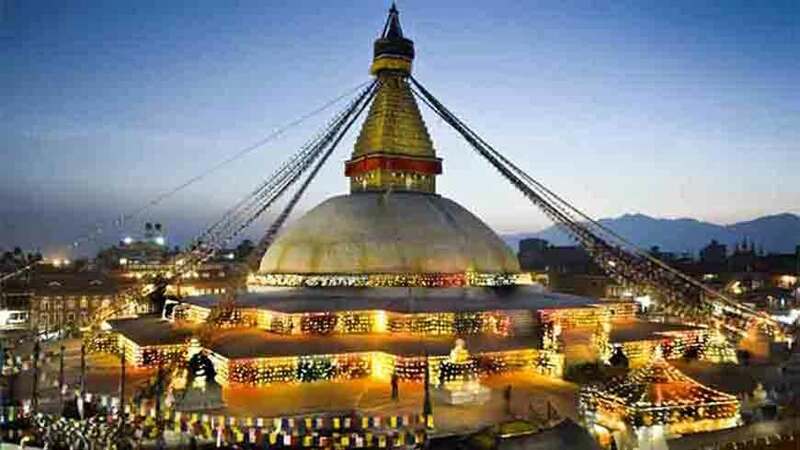 Behind the stupa is an image of a standing Shakyamuni Buddha make of black stone. The Fourth Khamtrul Rinpoche, when he came here in the 1700s and it is said that this was one of the most sacred power places in the Kathmandu valley. There are many statues of deities and stupas of mixed hindu and buddhist content on al dimensions. Most of these were sponsored by Kings, brahmins, wealthy householders or other devotees from the city of Kathmandu, from the earliest times to the present day.